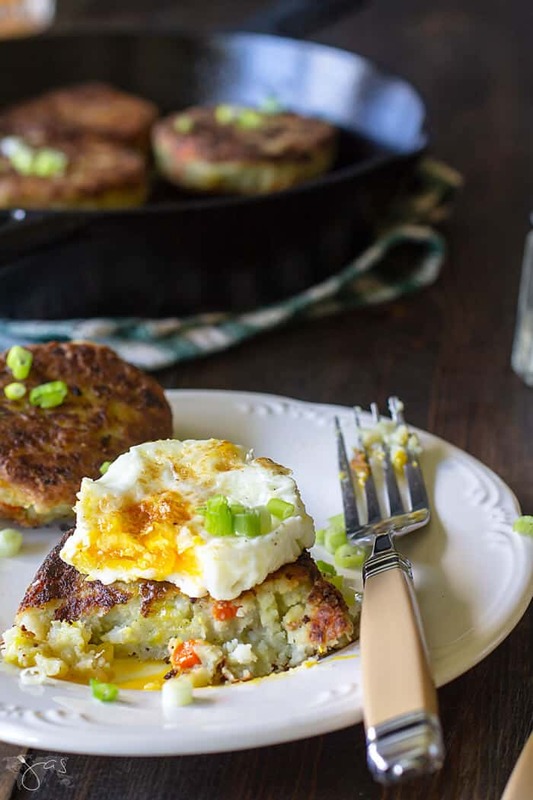 From yesterday’s leftover mashed potatoes to this easy bubble and squeak leftover potato cakes, this classic British breakfast recipe is hearty, healthy, delicious, and comforting. 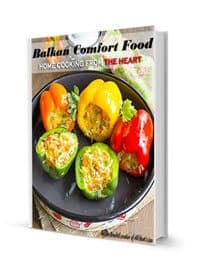 Best of all, it is excellent as a side or a vegetarian main dish too. Throwing away food is wasteful, and I cannot stand it. It is one of my biggest pet peeves. And if you cannot eat the leftovers of the same dish three days in a row, then have no fear! I have explored the deep depths of the culinary world to find solutions. Repurposing ingredients into entirely different meals will do just the trick! With a little imagination and brainstorming, you’ll be able to come up with a delicious, unique recipe. I feel like leftover vegetables from a roast might be a little hard to reconstruct into an entirely different dish from the original. 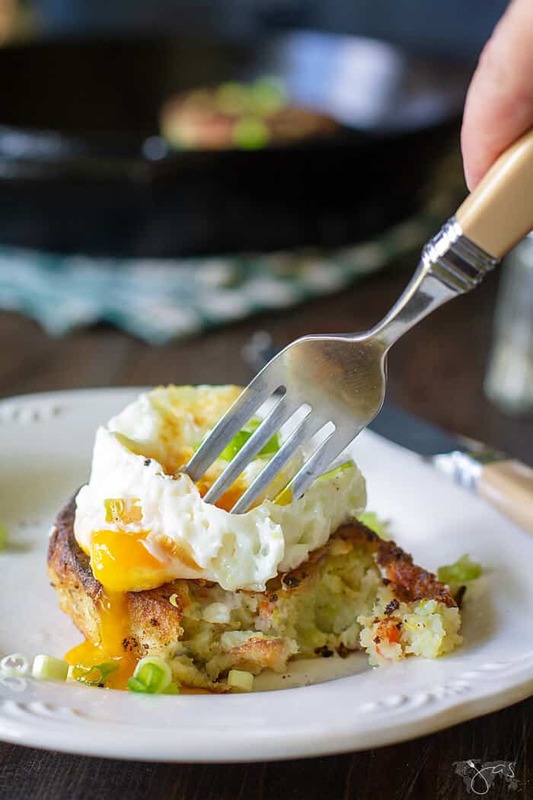 Have no fear: bubble and squeak cake is here to save the day! What a name right? Trust me, I was a little (a lot) confused when someone had first told me about this. Turns out, this silly-sounding cake is a traditional breakfast in the United Kingdom. 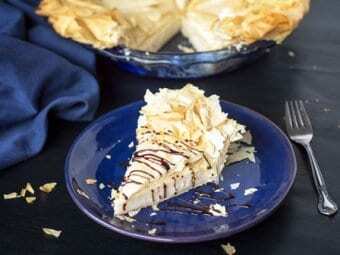 The dish must include potatoes and cabbage, but beyond that, you can use any leftover vegetables. You essentially mix it all together, coat in flour, and then fry it in a pan. 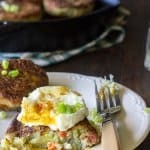 What to serve with bubble and squeak? Now, I can’t say I haven’t made this breakfast before, and then immediately wanted to fall back asleep. Maybe you could save this type of breakfast for the weekends, even though it is traditionally served on Mondays after a Sunday roast. The “bubble and squeak” comes from the little noises cabbage makes when you cook it. I just couldn’t imagine sitting down at a diner or breakfast place and seeing that on the menu! 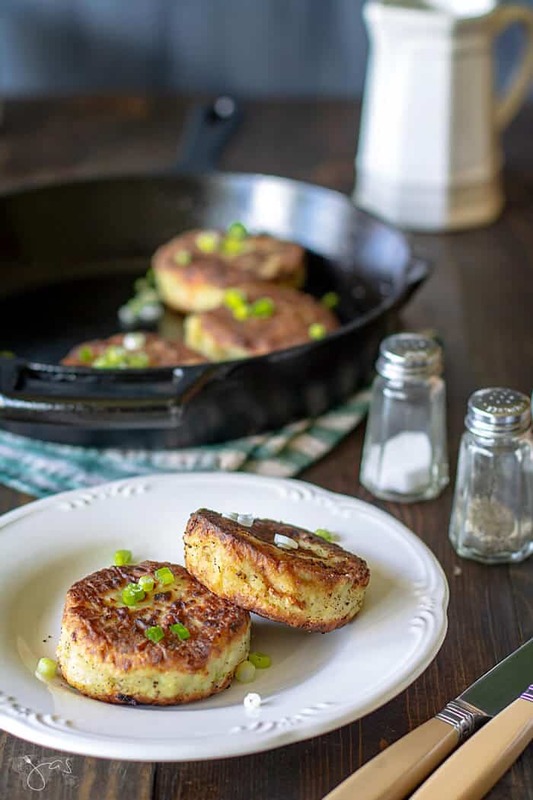 Some people call them Scottish or British Potato Cakes, but I think that takes all of the fun out of it! As I have mentioned before, I absolutely hate wasting food. Another reason why I love these leftover potato cakes is that you can freeze the extra mixture. If you don’t plan on eating it all, save it for a few days down the road. Once you divide the mixture into portions and flatten into little patties, just decide how many you need or want to make. Wrap the rest of them in plastic, put in a freezer bag and freeze! You can cook it as one big frittata-like dish, or you can make little cakes. As with my cheesecakes, malva pudding, and other recipes, I love to divide them up into small portions. For one, little food is cute. Secondly, I sort of preach that it helps with portion control. However, I cannot say that you won’t eat multiple of them in one sitting. As always, I encourage you to experiment with this recipe. You are essentially frying together some potatoes and vegetables and have room for more flavors and textures! Try adding some panko breadcrumbs, a dash of your favorite seasoning blend, bacon or cheese to the mixture. Whatever you decide to do, you might start taking after me, and purposely buying an excess of vegetables so that you can make these with the leftovers! They’re that good! 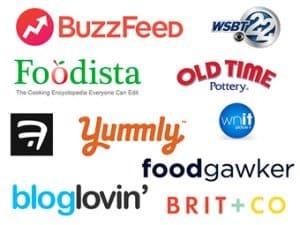 This post might contain some affiliate links for your convenience. Click here to read my full disclosure policy. Add any leftover cooked vegetables to the mashed potatoes. Crumble crispy bacon bits into the potato mix. Bake as one big cake and then portion it out. Mix mashed potatoes with cooked vegetables. Add onions, salt, pepper, and cumin and mix to combine. Form the potato mixture into 8 cakes and chill in the refrigerator for 30 minutes to firm up. Dip each cake into the flour to coat lightly. Heat the oil over medium-high heat in a wide based frying pan. Gently place cakes into the hot oil (fry in batches if necessary). Fry for 3-4 minutes on each side or until golden brown. Serve with a poached or fried egg, bacon, or breakfast sausage. Garnish with chopped green onions. 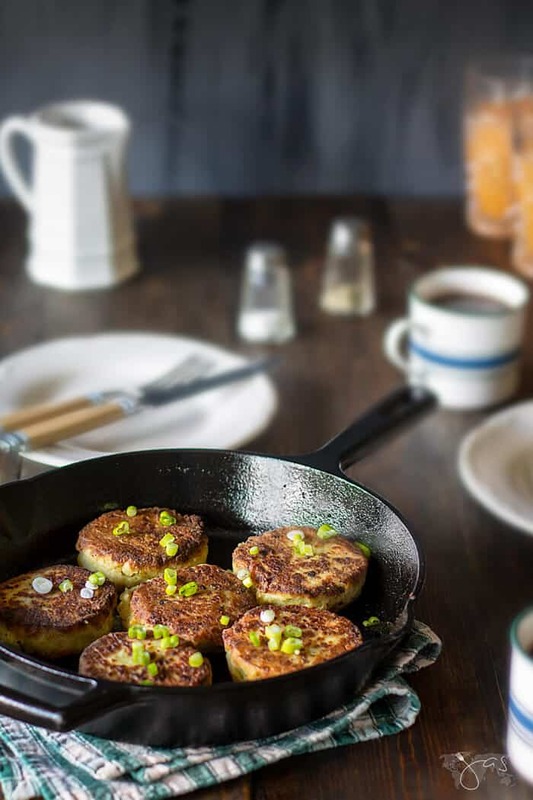 Turn yesterday's leftovers into today's feast with this easy recipe for British bubble and squeak. Add crispy bacon bits into the potato mix. Featured on: The Cottage Market, Eclectic Red Barn, Dwellings, Fluster Buster, and Fiesta Friday. KEEP IN TOUCH, GET UPDATES AND FREEBIES BY SUBSCRIBING TO ALL THAT’S JAS MAILING LIST BELOW! We have Bubbles and Squeak every Boxing Day, served with poached egg and lox. It’s a tradition that we’ve had for years, but I’ve never made them with cumin. That might be interesting. Maybe I’ll make a test run with cumin prior to Boxing Day. Very clever meal I would love that meal. I like that you described it as “thrifty”. Haven’t thought of that word, but it’s exactly that. 😀 Thank you, Jen! I totally love to re-purpose leftovers into (almost) completely new meals. This one is a perfect suggestion and recipe! Not only sounds delicious- it sounds fun! Thanks for sharing at the What’s for Dinner party! This sounds so good. I like cabbage and this just sounds wonderful. I like the idea of a poached egg on top. Thank you for sharing at Over the Moon. What a great way to use leftovers. I adore the name. I don’t like poached eggs so I will have to try something else. Thanks for sharing at Over The Moon party. Pinned. these look divine! I absolutely love bubble and squeak! Oh my goodness I haven’t had bubble and squeak for so long!! I must give it a try! 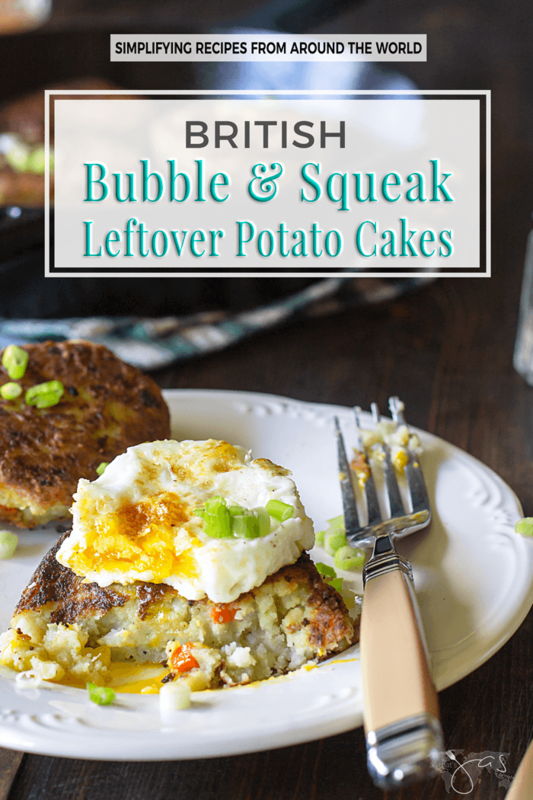 I have never heard of Bubble and Squeak before, but I love the name! My mom did, however make potato cakes when I was a kid. Always loved them. the poached egg sounds wonderful on top! Thanks for sharing with SYC. Sizzling beautifully on the stove top, Jas. I think that firming them up in the fridge has done the trick. That’s wonderful, Mary! Did you enjoy them?? Made them for my husband, but I did manage to score one. It was delicious. Thanks, Jas. Happy October, Kippi! 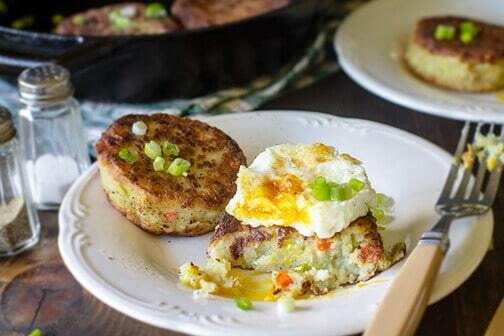 Hope you like these little savory cakes. 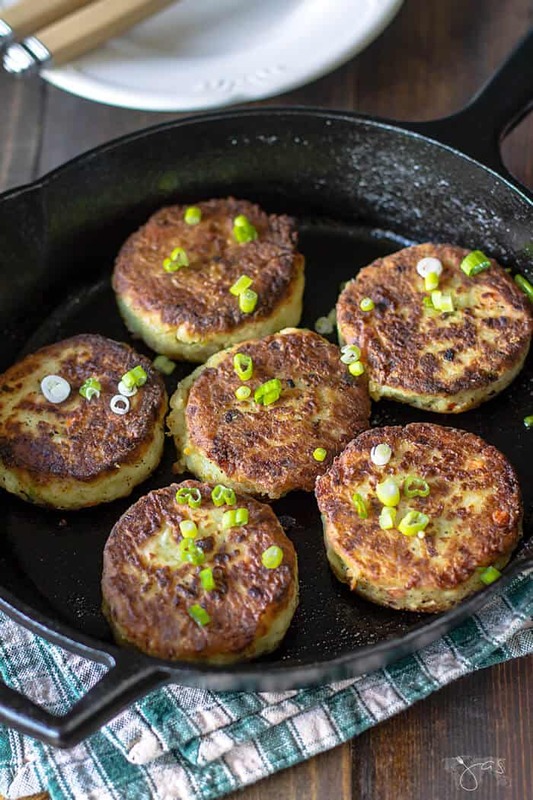 Your Bubble & Squeak Potato Cakes look delicious! Thanks so much for sharing with us at Full Plate Thursday and have a great week! Thank you heaps, Miz Helen! LOVE leftover ideas. 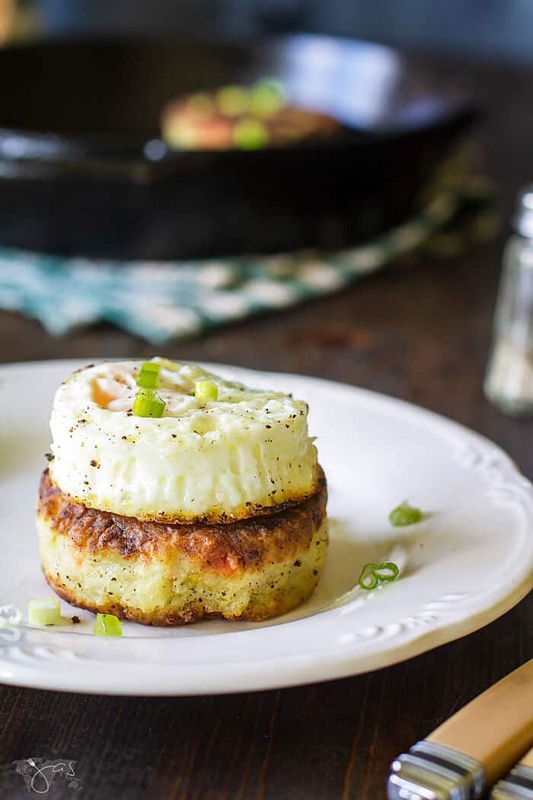 These look super delish and, I just bought a brand new egg poaching pan = bonus!